• Have your party check-in as early as 12:00pm for Saturday afternoon sessions and Sunday afternoon sessions or 6:00pm for every evening sessions. • Helmets are OPTIONAL. We carry a limited amount of helmets on site, they are on a first come first serve basis and they cannot be reserved. Each helmet can be rented out with a deposit, which you will get back once the helmet is returned in the condition you received it in. Guests are permitted to bring in their own inlines, roller skates and or safety gear, such as bike helmets, if they feel you require it. • Payment: CASH (We do not accept $50 or $100 bills),DEBIT, VISA, MASTERCARD. Checks only from approved organizations with Picture ID. • Skate rentals- A hint to speed up the process is to have all your guests here at the same time and have their skate size written down along with the skate type. Either inline or roller skates. This is not mandatory but recommended. However, guests are welcome to bring in their own inlines, roller skates or safety gear if you and/or your guests feel they require it. Sportsworld does not carry any safety gear. We have some helmets available for use at a rental charge of $3 + a $2 deposit= $5 you receive your $2 deposit when you return the helmet. They are on a first come first serve basis. If you prefer a helmet we strongly encourage you bring your own, you can use any type including bike helmets. • We do have a discount program with various establishments. To see their offers & instructions scroll down below. However you are more than welcome to order through any other company and have them deliver right to Sportsworld. • We also do sell paper products in the concession for any outside food you provide. However if you have any paper products, balloons, or other decorations you would like to bring, you are more than welcome. • Please note: Sportsworld will not guarantee our food products have come in contact with nuts and nut oils. • NO FEATHER BOES, NO CONFETTI, NO SILLY STRING, NO HEELY'S and NO LASERS!!!!! Cancellation Policy: Must provide Sportsworld with a minimum 5 day prior to your booking date to receive your full deposit amount. If a cancellation resides within 5 days prior to your booking, a Sportsworld credit will apply for the amount of your deposit. If cancelled or no show on the day of your booking, there will be no refund or credit. A deposit for an Option 3 booking will be charged to School/Private groups that cancel or no show day of booking. Helmets: $3 each plus $2 deposit=$5. Deposit will be refunded when the helmet is returned in the same condition you received it in. Thank you for wanting to booking with us. Please read the following quick points below. 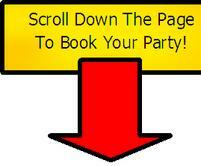 Than proceed to book by scrolling further down to the booking options. Under the booking options is discounted offers from partnering businesses. By booking with us you agree that you have read and understand the terms and conditions outlined with our products and services. If you have any questions or concerns please contact us. We look forward to seeing you. You have two options to book, do it online or call us. only in person or over the phone. Deposit within 3 days after booking your party. Deposits can be made over the phone using VISA/MasterCard. Deposits are not done over the internet. Or you may come down to Sportsworld and pay in person. Methods of payments are CASH, DEBIT, VISA/MasterCard. Deposits are to secure your time slot for your specified day.